The Seminar took place at Bulgarian Chamber of Commerce and Industry conference hall. Highly-professional topics attracted around 50 Financial Managers from more than 30 companies, operating in different business fields, among that names such as Kaufland, Lindstrom, Alfa Laval and others. Participants also had opportunity to trade ideas and network with fellows on a cup of coffee. 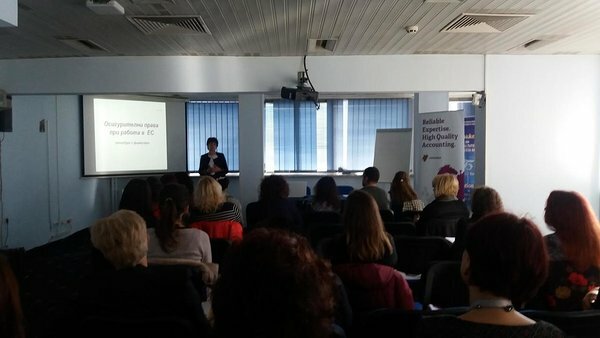 The inspiring speaker Nikolina Lazarova – Chief Accountant of Leinonen Bulgaria presented her prospective of topics such as regulations, procedures and practice concerning posting of workers in the framework of provision of services. 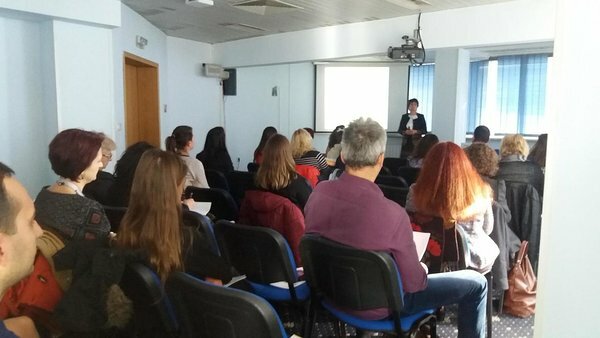 The topics presented and discussed along the seminar included short-term benefits for temporary occupational incapacity, maternity and unemployment, pension claims and reviewing of various documents issued by the competent authorities of the Member States related to the context of Regulation (EC) No 883/2004. Leinonen Bulgaria offers a wide range of professional services including Accounting, Payroll, General tax advice, Tax establishment, Advice on tax disputes, Assistance in tax audit, Tax Due Diligence, Permanent establishment for Corporate Income Tax purposes, Establishment for VAT purposes, Coordination of applicable social security legislation in cross-border situations in EU Member States and others.